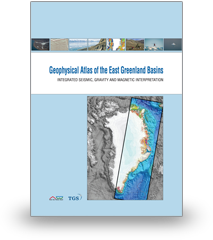 Compiled and edited by Mikal Trulsvik, Sverre Planke, Stephane Polteau and Reidun Myklebust. 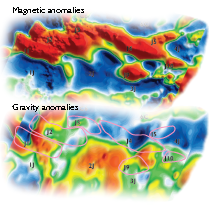 The Atlas is a comprehensive interpretation project based on the integrated seismic, gravity and magnetic (SGM) interpretation method. 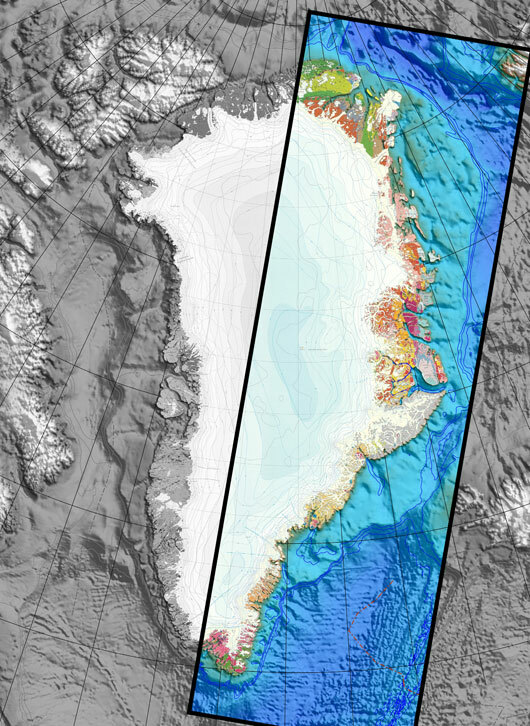 Focus is on the northeast Greenland margin and the 2012/2013 licensing round areas. 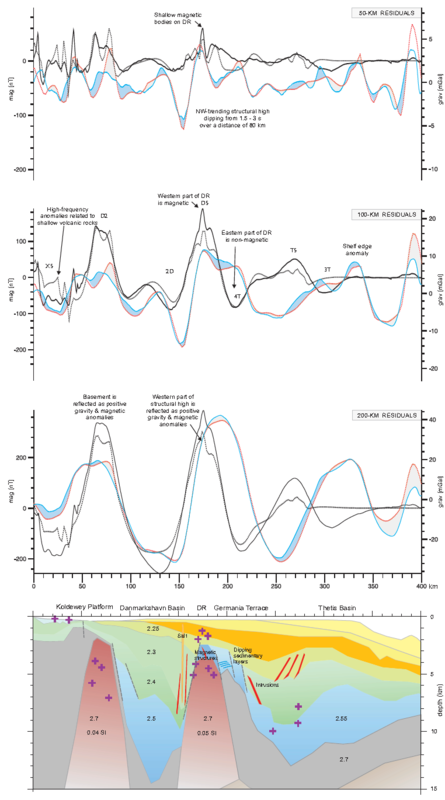 The Atlas is a complete revision of the 2007-edition, and all available TGS seismic (NEG08/09 and reprocessed AWI 99/02/03) and airborne magnetic (NEGAM07/08) and gravity data (NEGAG07/08, NEG/AWI line data) were used to evaluate the structure and development of the NE Greenland margin. Map highlighting the area covered in the Atlas.